Giving back the benefits of that land would be a worthy sign that majority-culture people understand the wrong that was done to those who were the First Nations in this country. We can make progress toward this goal by respecting the culture and property of Native peoples and finding ways for the U.S. government to assist them in getting higher education, employment, property ownership, health care and social services. This requires advocacy, and advocacy only comes through awareness, the awareness that Native American communities have been denied the very fundamental rights afforded to other people in this country. At this United Nations Church Conference on Indigenous Peoples Dr. Heather Elkins, a professor at Drew University Theology School, participated in a video project in which she showed a piece of art that was painted by Native American contemporary artist Leslie Gates. It is a figure of a Native American who was on the “Trail of Tears,” the brutal forced exodus of Native people from their lands that was part of the Indian Removal Act of 1830. The United States government implemented it under the presidency of Andrew Jackson. This artwork showed a solemn figure covered with a blanket. 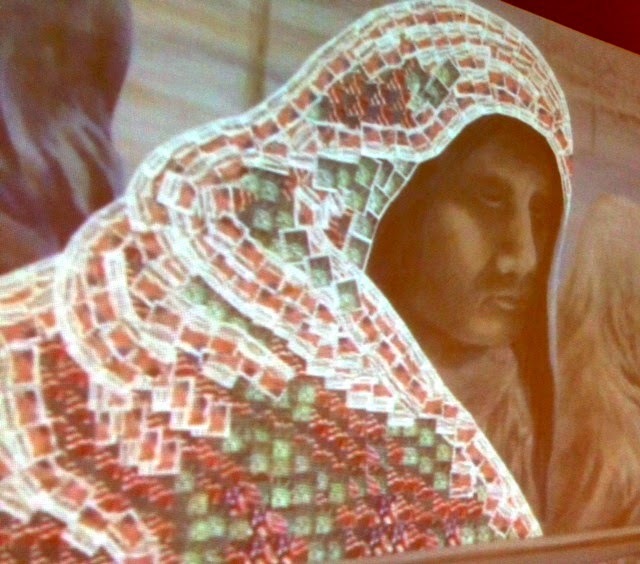 The blanket, when seen up close, comprises hundreds of canceled U.S. postage stamps. These stamps are the ones we see frequently with U.S. flags on them and the words “Liberty,” “Justice” and “Freedom” inscribed on them. The stamps shown as “canceled” remind us that for the Native American people their liberty, freedom and justice have been canceled because of racism, greed, oppression and evil. During the Trail of Tears thousands of Native people were marched along a perilous route from their homes in the East to barren reservations in Oklahoma, often during the bitter cold winter. There were many deaths due to exposure, disease and starvation. As some prepare to celebrate Columbus Day on October 13, others will decry the sordid history of exploitation and genocide it represents. Indeed, it is important for us to remember indigenous peoples who suffered at the hands of Europeans who came to America and treated its Native occupants cruelly for the most part. If we are truly repenting for the misdeeds of our forebears we need to “un-cancel” the stamps of liberty, freedom and justice. We need to decolonize our hearts, amend our ways and write a new, living chapter of redemption in our history together.